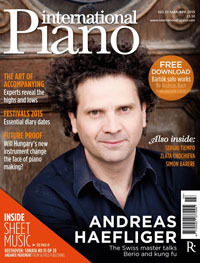 The March/April 2015 issue of the magazine International Piano features Noriko Ogawa, interviewed by Duncan Honeybourne. ©2019 Jamie's Concerts. All rights reserved.